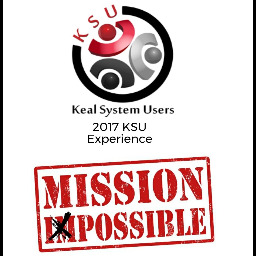 2017 KSU Experience - Mission Possible! The KSU Board of Directors and Keal Technology are excited for this year's User Experience scheduled for Thursday, September 21st & Friday, September 22nd at the Hyatt Regency in Toronto. Stay tuned for some exciting news for entertainment and takeaways!